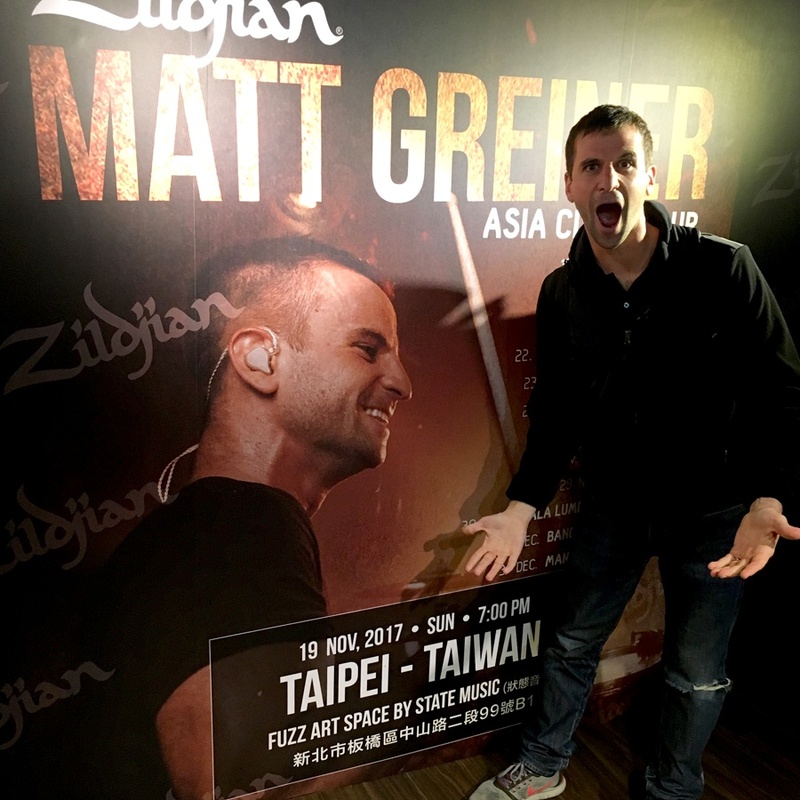 Earlier in the year, we took Artist Matt Greiner from the band August Burns Red on his first Zildjian Clinic Tour throughout Asia. Check out the written journal he kept as he traveled to 12 cities, in 7 countries, in 3 weeks. With these concepts in mind and the itinerary finalized, I boarded the plane for Tokyo, Japan! I landed in Tokyo and was picked up by a representative from the Japanese Zildjian distributor. He drove me through the busy city of Tokyo to the hotel we were staying at for the next several days. Over the course of the next three weeks I would be traveling with Bob Wiczling, Zildjian’s International Head of Marketing, and Kim Pang, Zildjian’s Vice President of Sales for Asia Pacific. I met Kim on the hotel elevator down to the lobby where Bob would join us for dinner. I immediately got the impression that I was in good company. We spent our first day in Japan visiting a few drum shops and meeting with the local distributors. My first Japanese meal on the trip was a delicious noodle and Japanese salad with delicious tea to follow. After a 2nd night in Japan I was starting to feel the jet lag and was quite dependent on the hotel coffee to get my day started to get ready for the first clinic! Our first clinic of the tour in Tokyo was a huge success. It was hosted in a small underground rock club. Everyone was very inviting and I had the chance to meet several of Tokyo’s best drummers after the performance. I noticed that the attendees of the clinic were very respectful and kind. After a few interviews with local drum magazines, we did a meet + greet in the adjacent drum shop for about 45 minutes, said ‘thank you’ and ‘goodbye’ and headed back to the hotel. Our second stop was in Taipei. Taiwan. Like Tokyo, I had previously been here with my band August Burns Red about 6 years ago. Once we arrived in town we were driven about 45 minutes away from our hotel through the beautiful countryside of Taiwan. The mountains were impressive, the apartment buildings lining the side of the highways. We loaded into the underground drum shop and music venue. I was immediately taken back by the amount of professional production that had gone into this clinic. There were huge posters everywhere promoting the clinic, a 10’ wide LED screen on stage next to the already setup drum-set, and cameras focused on the double bass, toms, snare, cymbals, and the crowd. It was an impressive display of production. A highlight of the clinic was meeting two kids who were under 10 years old. They were aspiring drummers and joined me on stage for a picture during the clinic! After the clinic we did a signing session for nearly everyone who had attended the packed out clinic. I even got to meet the drummer for the Chinese Voice! It became quite evident to me early on the trip that it was customary to go out after each performance and eat a huge meal. Often times these meals were at circular table with an array of local authentic food, most of which was food I could neither identify nor had ever eaten before! We flew to Hong Kong, a country I had never been in before. I was amazed at the amount of enormous skyscrapers, contrasted by beautiful bay. The clinic in Hong Kong was hosted by a large music store, which boasted an amazing performance hall. We had a great clinic and meet and greet afterwards! Afterwards we went downtown and had a buffet of food before heading into China. We were picked up at the train station by the friendly Chinese Zildjian Distributors who would accompany us throughout our six stops in China. Upon arriving in China, Rashid Williams, the drummer for John Legend, met up with us at the hotel. 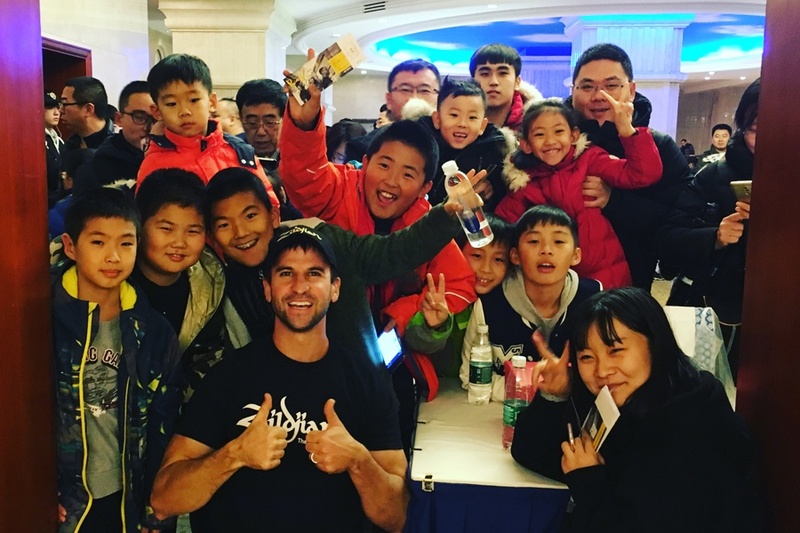 He would be on the tour for all 6 stops in China and it was awesome to have him along with us! Our first stop in China was in the city of Gaungzhou. After visiting a local drum shop that carried Zildjian Cymbals we did some sightseeing around the city and then headed to the theater on a school campus where we got started with the clinic. It was really neat to have three drum-sets on stage for the performance. 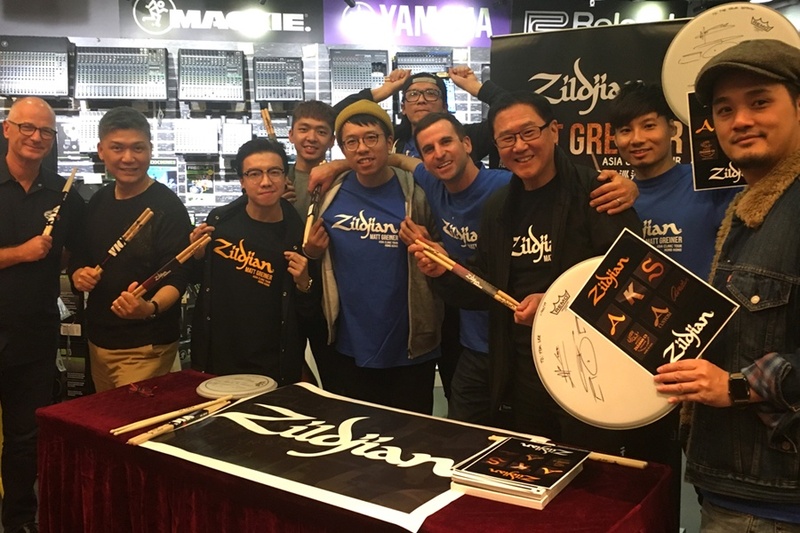 In addition to Rashid and myself there were a few other drummers who would join us for the Chinese clinics to help demonstrate the diversity of Zildjian Cymbals! The next day we headed to Changsha by train. Traveling by train has its benefits in that we were able to see the landscape in China and see what the countryside looked like in-between each of the massive Chinese cities. Once we arrived in Changsha we did some sightseeing and had lunch with the representatives from the local music shop. We headed to the theater where the clinic was to be held and upon walking in almost fell over at the size and production of the clinic! There must have been a 75’ LED screen on stage behind the 4 drum-sets. There were enough seats for 700 people, most of whom were kids under 10 years old. The excitement in the room was almost tangible as the kids and parents filled in and starting drumming along to the opening drummers on stage. After the performance all five of the drummers who performed headed out to the lobby where we sat in front of a 15’ print out of our faces, bordered by Chinese writing! We sat and signed and took photos with approximately 300 to 400 kids and parents. It was an amazing experience, a trip highlight for me personally! Our next stop on the tour was in Hangzhou. We arrived mid-morning and headed to the venue to do our daily sound check. The performance was a matinee show, leaving us most of the afternoon and evening to explore the city and relax. The clinic itself was very neat, primarily because of the 2 young drummers who opened the show. They each played along to one track and played with smiles stretched from ear to ear. Because of the small and intimate club setting, those in attendance felt like they were at a rock show and were fully engaged the entire time! The next morning we boarded a train for Dalian, our next stop in China. The theater where the clinic was held was beautiful and well equipped for our clinic. After sound-check I headed to the front door to meet some of the kids attending the clinic. There was a group of at least 100 kids under 10 years old, yelling and screaming holding their posters and drum sticks in the air trying to get an autograph. It was incredible! 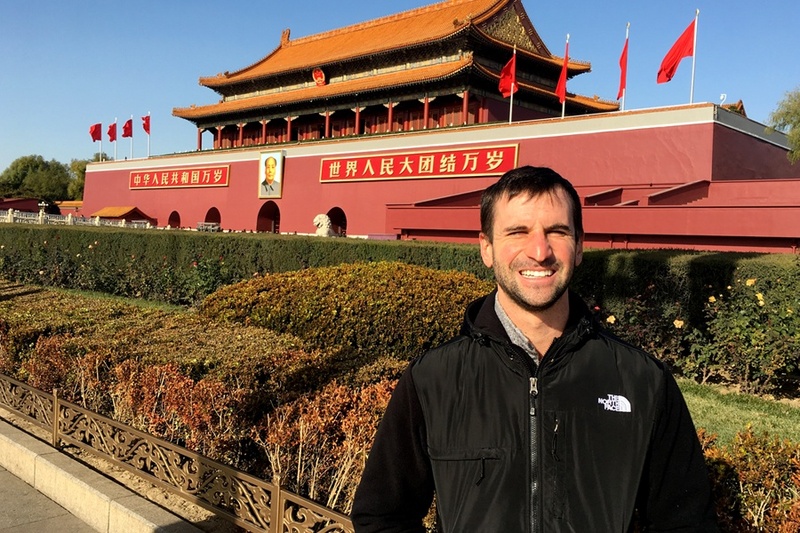 Beijing was our final stop in China. When we walked into the venue we quickly realized that this was going to be a big show! The night started off with a few young drummers showing off their skills on the drums. The room was nearly full with people cheering after each drummer finished! 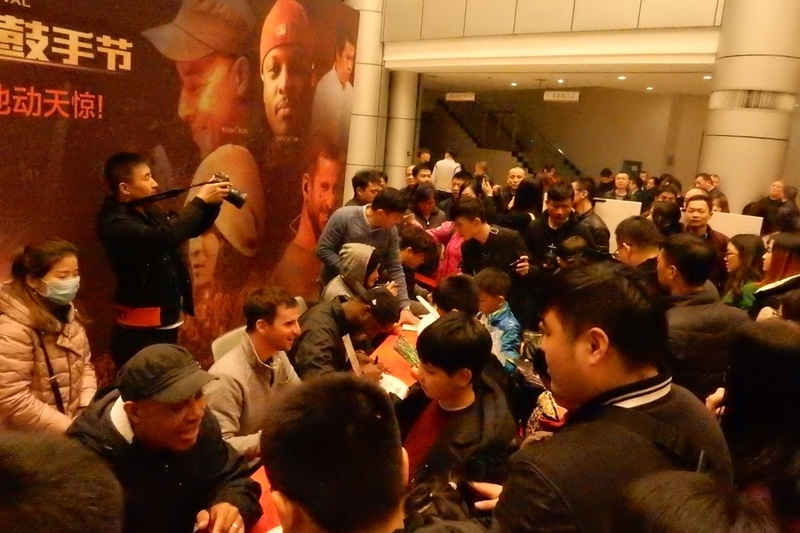 Beijing was the perfect ending to a string of rewarding and enjoyable Chinese drum clinics! It was my first time in China and I’m thankful to have spent the week there teaching and performing drums. In Singapore we were greeted with nice, warm weather and a very welcoming crowd at the clinic. We had some time to go explore so Bob and I had dinner at the Marina Bay Hotel where we had a beautiful view of the entire city! Our time in Singapore was shorter than we would have liked but it was time to move onto Kuala Lumpur, Malaysia. It was remarkable to me how hospitable the staff and volunteers were at the venue where the drum clinic was hosted. 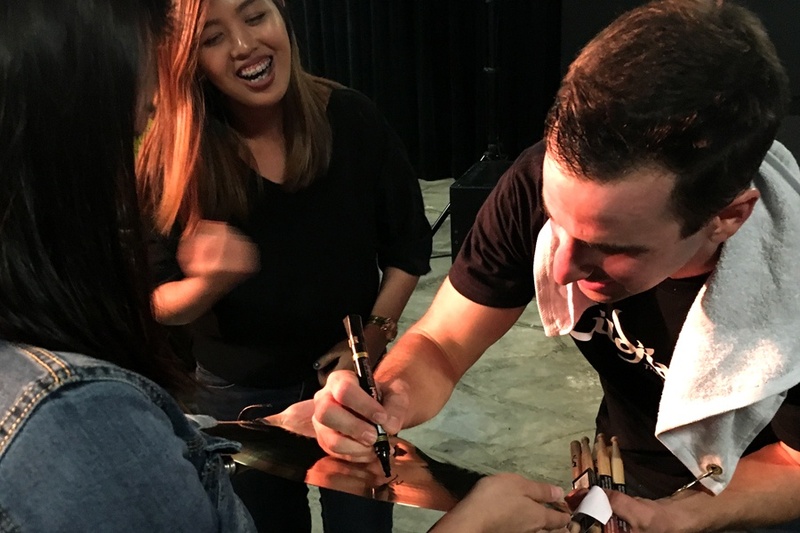 I had a great time meeting everyone in Kuala Lumpur and getting to see younger drummers who are so excited about drumming! (While in Kuala Lumpur, we filmed Matt's entire clinic performance - watch it above). 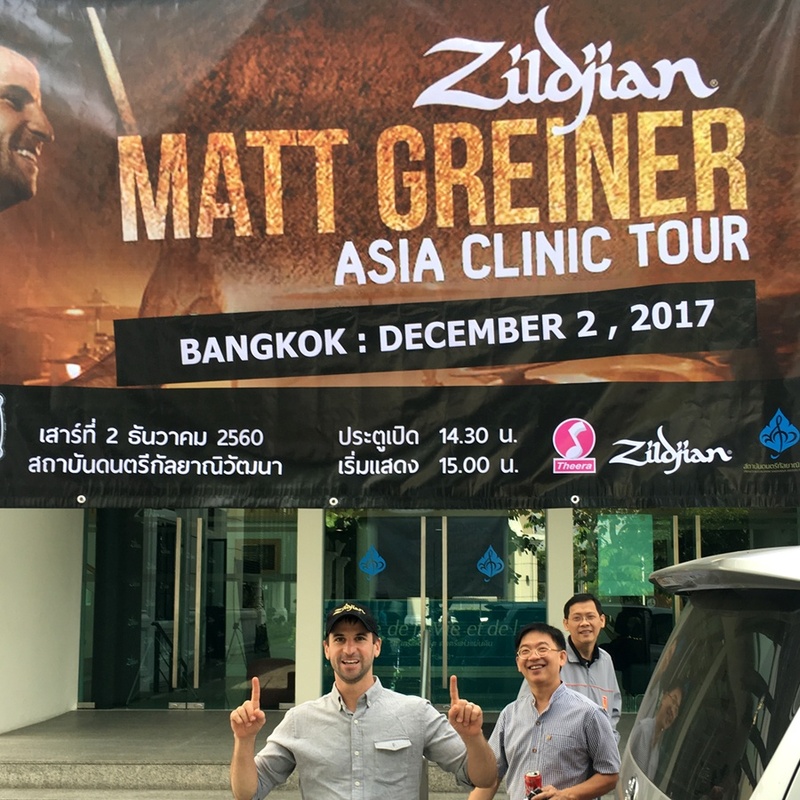 Our next stop was in Bangkok where a large billboard was displayed outside of the venue. It was an amazing feeling to see my face and name on a huge billboard with the details of the Asia Clinic Tour on it. What an honor! I was excited to meet the family who works with Zildjian in Bangkok and it was a pleasure to work with them for the evening! We had a great time at dinner on the water afterwards and said our goodbyes the next morning. 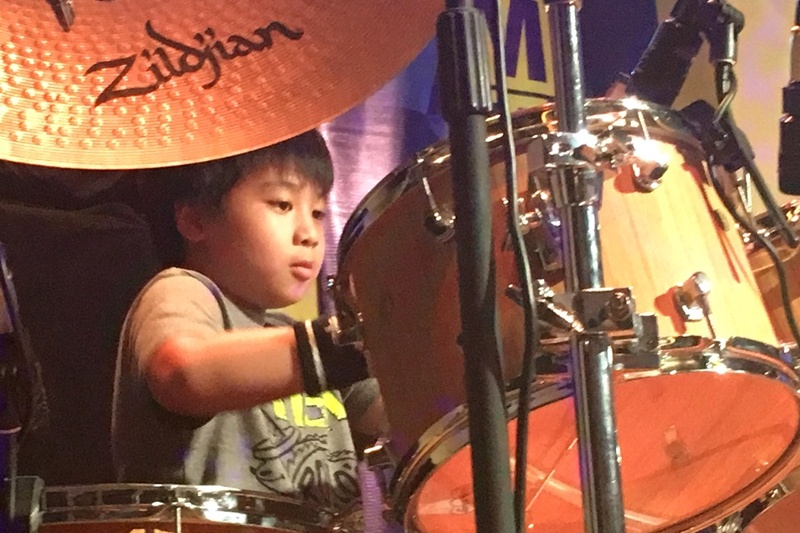 Our last stop was in Manila where a young boy playing drums to Metallica stole the show! We had the clinic in a restaurant similar to a Hard Rock Café inside a mall. After the clinic we did an hour long meet and greet and packed up to head home. I am humble and amazed when considering the drumming greats who have been a part of the Zildjian Asia Clinic Tour in the past. Thank you to everyone who came out to say hi and learn more about drumming. Thank you to all of the staff at each of the venues that worked so tirelessly to put it all together. 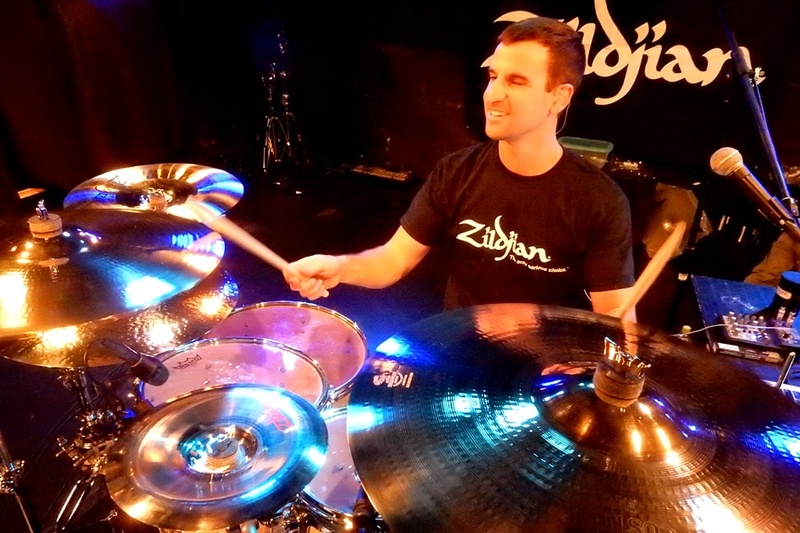 Most of all, thank you to Bob Wiczling and Kim Pang and the amazing family at Zildjian! Watch Matt's Complete Clinic Performance from Kuala Lumpur, Malaysia Now! Did you get a chance to see Matt in clinic? 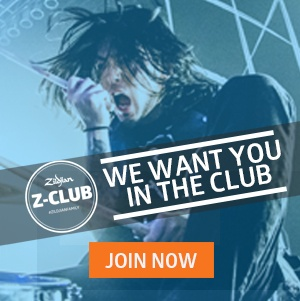 Would you like to tour the world playing drums? Let us know your thoughts in the comment section below. Live to Play - Music & Arts Employees Battle It Out!